I mean, really, deep down in your heart, believe in God? Do you believe that He is there for you and answers your prayers? Do you have faith? Faith that He is in control and will take care of you? Man oh man, I wish I was a Scriptorian because I know there are plenty of scriptures that tell us to believe, that He will answer our prayers, to have faith, that He is in control, and He will take care of you. When I was a young, single mother, I use to struggle, I mean really struggle with money. When my son was around 8 years old, I had barely any money to survive, and I happen to be struggling with a lil PTSD (Post Traumatic Stress Disorder). I was literally having anxiety attacks and crying with depression, all the time. My stress level was so high my blood sugar was dropping as low as 35 (80 to 120 is normal). It was a long, long time ago but a very desperate time for me. 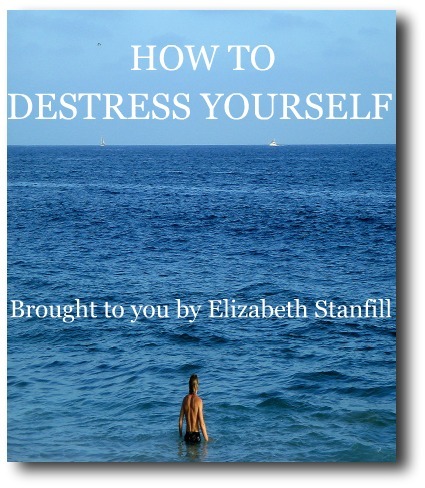 The reason I am telling you this is because, in the most desperate of times we need to know how to destress. What got me through all of that, and much much more, is my faith in God and that He would, and will, always take care of me. What I use to do, and still do sometimes, is every night I would get down on my knees, put my forehead on my folded arms on my bed, and I would imagine that I had my arms and forehead on His lap, like He was right there, listening, and supporting me. It may sound crazy, but it totally worked. One thing I know about my faith in God is that it is REAL!!! It is not the superficial FAITH, HOPE, AND CHARITY, only when I am at church, or when I can serve conveniently. It is REAL!!! My greatest teacher is God, and my next greatest teacher is stress. Believe you/me, I have had some serious stress in my life and I know that I live a destressed life because of it, no matter what is happening. Sure, I get stressed, but it is a fraction of what it has ever been because I learned how to deal with it through my faith and relationship with God. 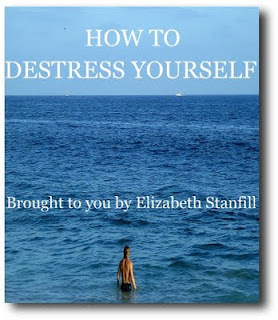 So, how to destress yourself? If you REALLY, TRULY believe, then turn to Him! Try the prayer with your arms and head on His lap. He is listening, He loves, and He is there for you. If you are really having a hard time and you REALLY BELIEVE, then try this. Spend one day with Him, sitting, walking, and talking to Him like He is by your side. Just use your imagination, this once, and you will see what happens to your faith in Him, in life, and in yourself. But please, please, please don't believe me, try it for yourself.